In a circuitous and convoluted way, I owe at least some of my writing career to podcasting. How? Well, in early 2006, I bought my first iPod nano and loaded it up with, not music, but podcasts. I trolled through iTunes and discovered a treasure trove of content. I stopped listening to the car radio and never walked a block without my ear buds firmly rooted in their eponymous ports. Back then, I listened almost exclusively to shows about social media and public relations, my day job for the last 23 years. I was amazed at what I was learning while walking to work, or folding laundry, or shovelling snow. I rarely listened to music. Many of the shows to which I subscribed were homemade by fellow PR professionals. And they were good, and most of them still are. Four months later, in April of 2006, a colleague, David Jones, and I, started Inside PR, the first and still only Canadian PR podcast. We learned by doing. Each week we’d record a half-hour show about public relations, upload it to the internet, and field listener comments from all over the world. We did that every week for over four years and more than 200 episodes. It was a year ago that David and I passed the torch to new hosts, my co-founder Joe Thornley in Ottawa, Martin Waxman in Toronto, and Gini Dietrich in Chicago. Inside PR is still going strong, week in and week out, five years after we started it. 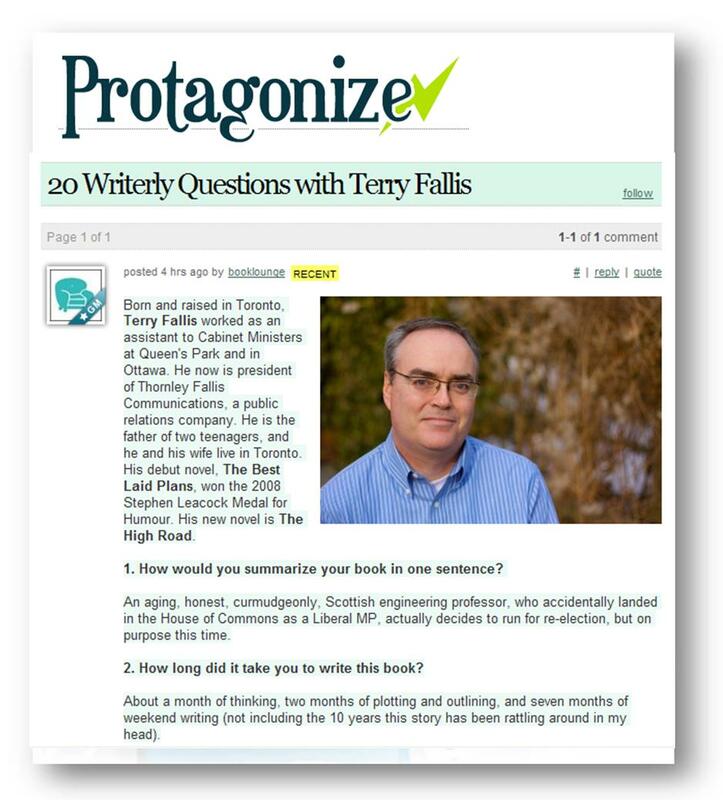 All of these great shows keep me very well plugged-in to the book scene, with lots of author interviews, book reviews, and news about the publishing world. 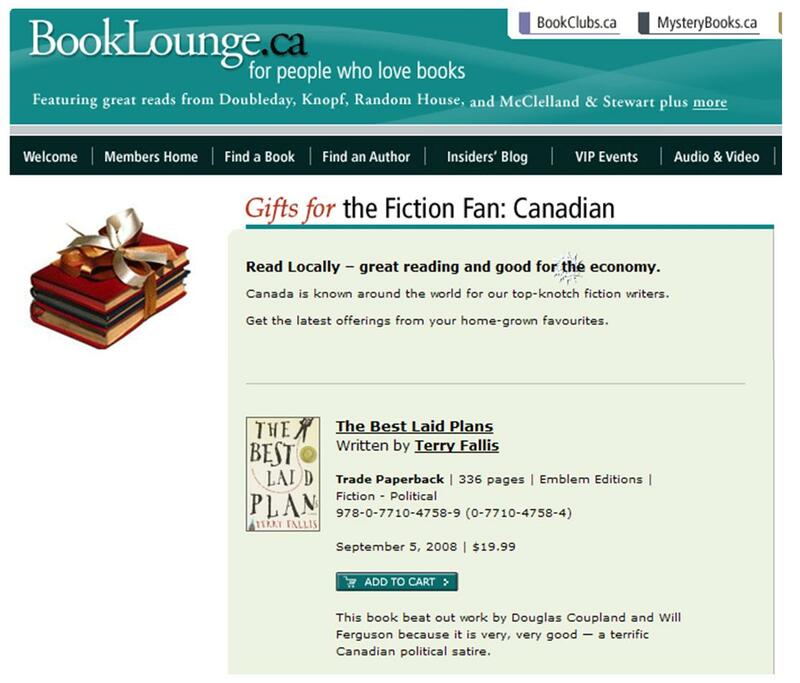 A few weeks ago, my friend and editor/publisher Doug Gibson and I met to record a podcast for Booklounge, a great website that brings together offerings for the book lover from a number of Canadian publishers, including McClelland & Stewart. 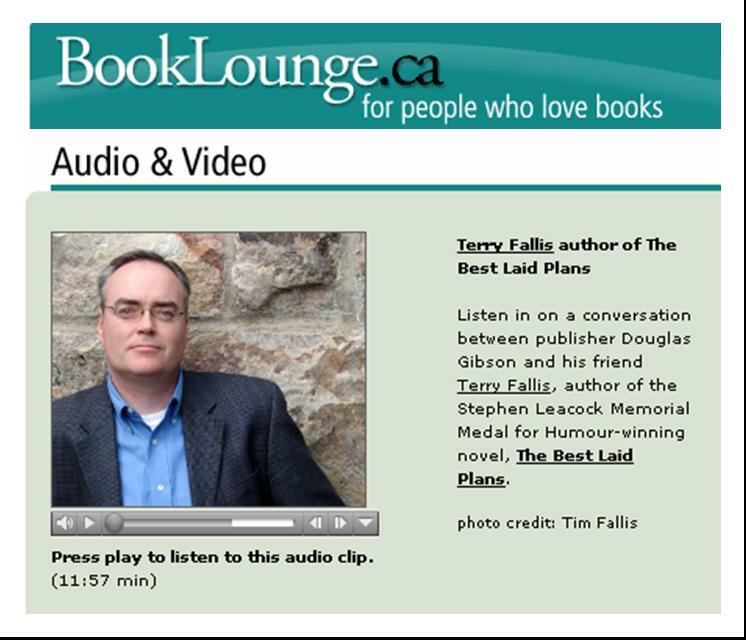 Â Doug is a stellar conversationalist and as I hope you can tell, we had a great time in our little chat.Â The only real challenge was sticking to our ten minute target as prescribed by the folks at Booklounge (we came in at 12 minutes! 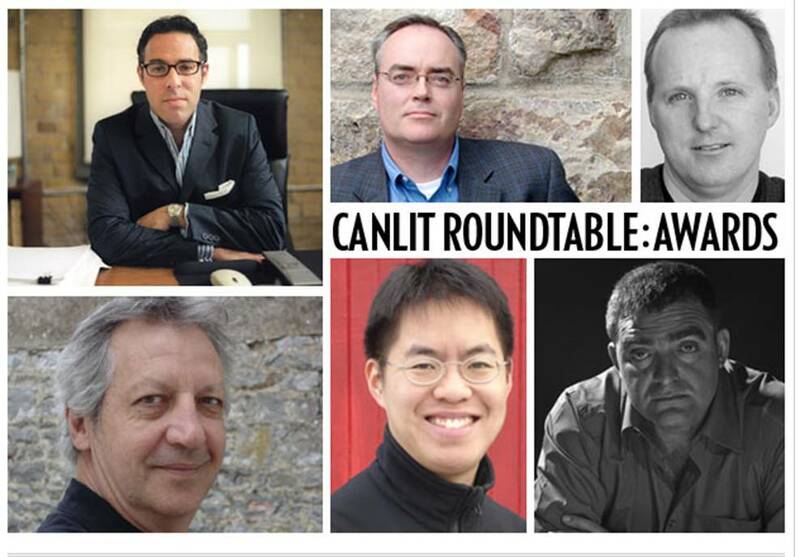 ).Â Hope you enjoy our wide-ranging conversation about TBLP. As promoted earlier this morning, I did in fact participate in the National Post‘s first live blogging experiment with a host of prominent authors and publishers today.Â It was a little surreal sitting at my desk over the lunch hour typing in my modest contributions and enjoying the insights of my fellow live bloggers.Â Towards the end, the floor was opened for visitors to ask questions.Â The technology worked well.Â Click here or on the photo montage above to review the transcript of the live blogging session. As Halloween recedes and the dying strains of pumpkin carols fade, yes it’s time to start thinking about… (I know, I can’t believe it either)… the Holiday Season!Â In my day job in public relations, our team has been pitching clients’ stories and products to holiday gift guides for several weeks already.